Is your vehicle equipped with TPMS? There are several ways to determine if your vehicle is equipped with TPMS. The easiest include checking the owner’s manual and watching the dashboard indicator lights at startup. Turn the vehicle ignition switch to the “ON” or “AUX” position, or simply start the vehicle. Look for a TPMS warning light on the dashboard ( ! ). If you have a MINI with the TPMS system (Tire Pressure Monitoring System) and for one reason or another need to get another set for a new set of aftermarket wheels (the wheels will need to be TPMS ready) this is what you will need to make it happen. Kit includes 4 Sensors and 4 Valves specific to the MINI. All 2007 and newer MINI’s have TPMS and the way you can tell is to look at the valve stems; they will have a 1/2″ cap and they’re usually a light grey valve stem as opposed to normal black or chrome sleeved valve stem. The sensor / transmitter that works with the new Tire Pressure Monitoring System Valve (TPMS) is BERU RDE-008. Like its parent company BMW, Bavarian Motor Works, the Mini Cooper runs the same part number and operates off the same frequency. If you choose to install aftermarket wheels on your 2007-09/2009 MINI Cooper and Cooper S , and your MINI has the new TPMS system, you will need to install these TPMS Sensors along with the Valves in your new wheel. Your aftermarket wheels must be designed to properly accept direct TPMS sensors. Its a flat spot in the safety hump, directly behind the valve stem hole. Check with your wheel supplier to confirm compatibility. For 3 piece and custom built wheels there is a second hole designed for TPMS mounting, usually drop center or more towards the inner of the barrel. Installation is still the same on 3 piece wheels. The TPMS system works with a pressure-sensor module within the valve stems of all four wheels that sends continuous radio-frequency signals to a receiver, and the system informs occupants when the pressure is low. You can now check your tire pressure from inside the cabin. One of the most common questions I get asked is, what is the life expectancy of the TPMS sensors? Followed by can the battery be replaced? Both are very good questions with sometimes some not so good answers. First question, up to seven years, for the average consumer this is great 7 years is longer then most people retain cars. Second question, No unfortunately not, like an Ipod the sensor has an encased battery that once used up cannot be replaced. When asked how long the sensor batteries will last, industry representatives provide a broad life expectancy range of five to seven years and up to 100,000 miles are mentioned when addressing estimated life spans. The follow-up qualifier is that driving conditions, such as frequent on-off cycling of a TPMS, tire pressure sampling frequency and temperature extremes, will significantly shorten battery life. Translating to they cannot guarantee a specified amount as many things affect battery sensor life. Mandated TPMS systems were phased in from starting from 2007, so some of these vehicles sensors have been in service for five years. It is highly likely that many of your factory equipped TPMS sensors are running low on battery life and may expire very soon. Still older direct sensors can be found in quite a few domestic and import models introduced earlier in the decade and equipped with TPMS ahead of government deadlines. Direct TPMS sensors commonly use radio frequency technology to transmit measured tire pressure readings to a vehicles on-board electronic control unit and warn drivers of a 25% or more under-inflation level. These are mounted inside a tire assembly on valve stems or wheel rims, the sensors are usually powered by 3-volt lithium ion batteries, but some use 1.25-volt nickel metal hydride batteries. There are developments underway that promise battery-less sensors in the future, having the potential to dramatically change TPMS markets. For now, though, the batteries are generally round and encased in a sensors molded plastic housing have finite lives. Since the batteries are entombed, a dead or dying one requires the replacement of its entire sensor assembly. Audi has been keeping up with TPMS technology since 2002. Starting with the optional system on the A8 and S8, they then threw the system on their whole line to comply with the recent law. They have used several valve sensors. The basics of the direct TPMS is that it uses a sensor in the wheel/tire to wirelessly relay pressure back to the driver on some sort of display. Some vehicles have a digital info screen that will show all four tire pressures (five pressures if spare has sensor) all the time. While others might just flash a low-tire-pressure light on the dash. There are also two different styles of sensors for this system: a valve sensor and a strap/band sensor. Only valve sensors are used by the direct system-equipped Audi, although if you bought an aftermarket SmarTire TPM system, those use the sensors held on by a strap around the barrel of the wheel. 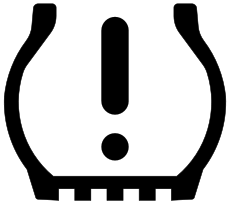 Tire pressure monitoring systems (TPMS) are now impossible to run from when buying a new vehicle. 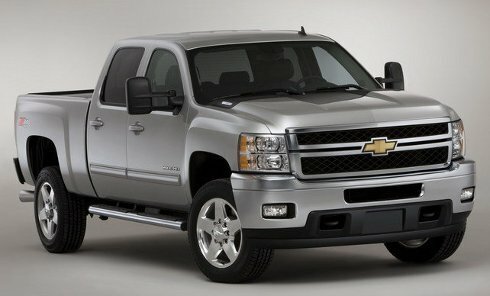 Every new vehicle made for sale in the USA has a TPM system as standard equipment. There are a few exceptions though: the vehicle must have only four wheels (so no dual-wheeled trucks or motorcycles), and the GVWR must be less than 10,000lbs. 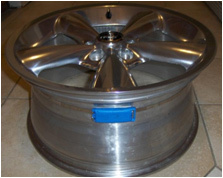 We do our best at TPMS DIRECT to guarantee proper fitment. 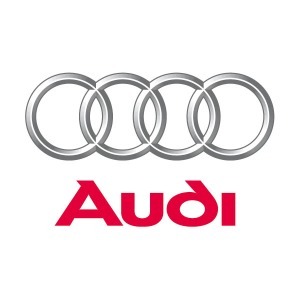 We stock all parts for all makes/models Audis, we buy in large quantities direct from the manufacturer to guarantee availability and best prices around! We get a lot of questions regarding OEM TPMS PARTS. Many Different companies supply tire pressure sensors for car manufacturers including BERU, SCHRADER ELECTRONICS and VDO. They are supplied when the car is first built, these are not aftermarket sensors. We work directly with the manufacturers going off original parts numbers to Guarantee proper fitment. The sensor measures the pressure and temperature in the tire and transmits this data along with the unique ID of the TPMS to the tire pressure monitor WCM (Wireless Control Module) and EVIC. If the TPMS ID is logged with the WCM then it is compared with the placard pressure and if under pressure then a warning light is lit on the EVIC or dash. That annoying ( ! ) symbol coming on? Its because your tires are losing air pressure. There are plenty of things to distract us while we are on the road, cell phones, ipods, kids. TPMS sensors are designed to keep your focus back on the road. Your tires are the only thing on your vehicle in constant contact with the road, lets try to keep it that way. The tire pressure monitor (TPMS) system uses the passenger door module (PDM), the body control module (BCM), the exterior lamp switch, the 4 radio frequency transmitting pressure sensors in the tire valves, and the serial data circuit to perform the sensor learn mode functions. To read correctly, the sensor learn procedure must be performed any time the PDM is replaced, a tire sensor is replaced, or after the vehicles tires have been rotated. Once the learn mode has been enabled, each of the sensors’ unique identification code can be programmed (“learned”) into the PDM’s memory. When a sensor’s ID code has been learned, the PDM sends a serial data message to the BCM to sound a horn chirp. This verifies the sensor has transmitted it’s ID code and the PDM has received it. As soon as the first sensor ID code is learned, all other IDs are erased from the PDM’s memory. Each sensor takes a pressure measurement sample once every 20 seconds while in stationary mode. If the tire pressure increases or decreases by more than 1.6 PSI from the last pressure measurement, another measurement will occur immediately to verify the change in pressure. If a pressure change has indeed occurred, the sensor sends a re-measure signal to the PDM. When the PDM receives a re-measure signal while in sensor learn mode, it will assign that sensor ID to that location on the vehicle. The PDM must learn each sensor’s ID code in the proper sequence in order to determine sensor location. The TPM system will cancel the learn mode if more then 2 minutes have passed and no sensors have been learned, or if the system has been in learn mode for more than 5 minutes. If the learn mode is canceled before any sensor has been learned, the PDM will remember all current sensor IDs and their locations. CAUTION: Before proceeding with the steps below, ensure that no other sensor learn procedure is being performed simultaneously, or that tire pressures are not being adjusted on a TPM equipped vehicle within close proximity. Turn “ON” the ignition, with the engine OFF. Apply the parking brake. IMPORTANT: If the learn mode cannot be enabled, ensure the TPM system is enabled in the PDM. CAUTION: Over inflating tires may cause personal injury or damage to the tires and wheels. When increasing tire pressure do not exceed the maximum inflation pressure as noted on the tire sidewall. IMPORTANT: If a horn chirp does not sound after 35 seconds for any of the 4 sensors, turn the ignition “OFF” to exit the learn mode and repeat the procedure from step 1. Starting with the left front tire, increase or decrease the pressure for 8-10 seconds, or until a horn chirp sounds. The horn chirp may occur before the 8-10 second pressure increase/decrease time period has been reached, or up to 30 seconds after the 8-10 second pressure increase/decrease time period has been reached. After all sensors have been learned, exit the learn mode by turning “OFF” the ignition. At Tpms Direct we strive to keep the most updated information on our site. With hundreds of forum threads to pick through and blogging sites on TPMS it can sometimes make your head spin. Here is a little background on Tire Pressure Monitoring Systems for Nissan. The Nissan TPMS was introduced to comply with the new Federal motor vehicle safety standard established by the National Highway Traffic Safety Administration (NHTSA) requiring installation of Tire Pressure Monitoring Systems as mandated by the Transportation Recall Enhancement, Accountability, and Documentation (TREAD) Act. All new model year 2008 light vehicles shall have a TPMS fitted which is capable of detecting when one or more of the vehicle’s tires, up to all four tires, is 25 percent or more below the manufacturer’s recommended inflation pressure (placard pressure) or a minimum activation pressure specified in the standard, whichever is higher. The system should be able to detect when one or more of the vehicles tires are 25% or more below the recommended inflation pressure. TPMS or Tire Pressure Monitoring System is fitted to Nissan cars to provide a warning of low pressure on anyone of four or five tires on the vehicle (five if TPMS fitted in spare). A TPMS from one of two manufacturers is fitted as part of the valve assembly. The sensor measures the pressure and temperature in the tire and transmits this data along with the unique ID of the TPMS to the tire pressure monitor ECU/receiver. If the TPMS ID is logged with the ECU then it is compared with the placard pressure and if under pressure then a warning light is lit on the dash mounted display. Keeping your tires properly inflated is not only safe, itâ€™s the law.